Quebec City is a total hub for delicious Canadian food. To make sure you don’t get stuck at just any old restaurant after a day of exploring historic sites, check out our list of the best restaurants for a well deserved sit-down, refreshing drink and satisfying meal. A long day of exploring all the Quebec City historical attractions, great shopping and fascinating museums is sure to work up an appetite for any traveler. We’ve compiled a list of the best restaurants for a well deserved sit-down, refreshing drink and satisfying meal. Quebec City is a veritable hub for delicious food, so be sure to not choose just any place–refer to our list below! With emphasis on ingredients found in Canada’s vast boreal forest, Chez Boulay incorporates a myriad of flavours into its dishes that you wouldn’t find elsewhere. Think wild mushrooms and delicious flavours from fir tree essence and birch syrup. Enjoy their Nordic-inspired cuisine in their stylish, modern dining room made up of chocolate wood. Explore the history of Old Quebec as well as its culinary heritage with the Old Quebec Food Tour! Instead of choosing just one restaurant, the tour invites you to savour 12 different samples and drinks. 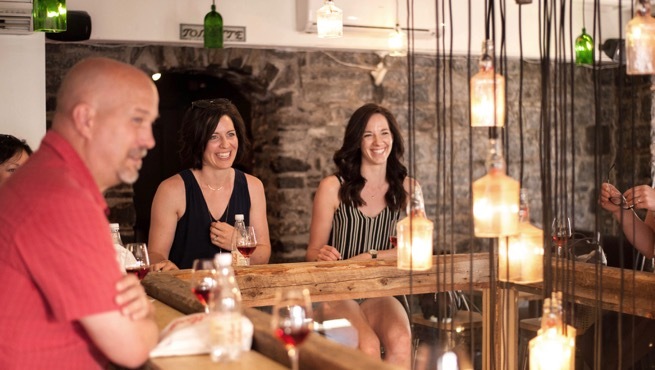 Get a feel for what it means to eat like a Quebecois through its traditional to modern dishes, all while your tour guide relays the fascinating history of the area. In fact, you’ll get to try two restaurants that are on this list, La Buche and Le Chic Shack! Experience Old Quebec through its food with the Old Quebec Food Tour. For more information, click here. Chez Muffy is a restaurant with local nuances. Operated by the Auberge Saint-Antoine, it’s set in an old maritime warehouse that dates back to 1822. Exposed brick and wooden beams give the space an air of romance and history, while ingredients sourced from local producers are highlighted in the seasonally shifting menu. 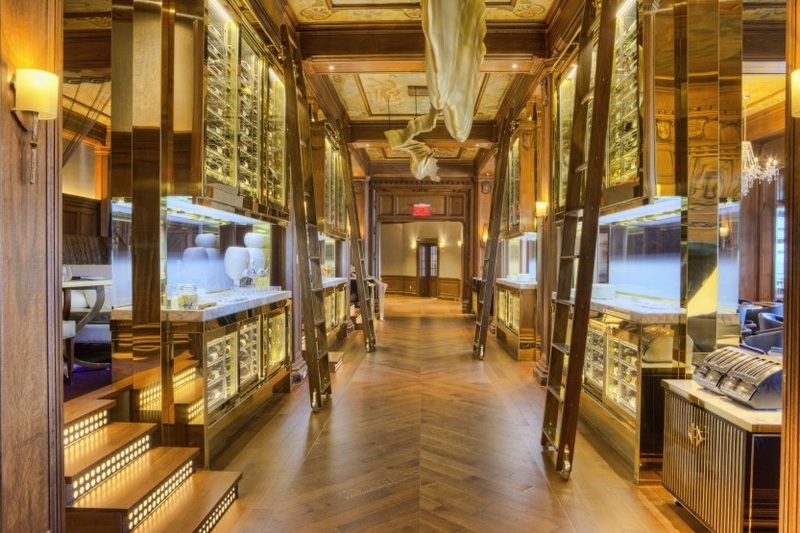 What’s more, the wine cellar boasts an impressive selection of 12,000 bottles featuring over 700 different labels from 14 countries. You’re sure to find a wine that pairs perfectly with your dish. 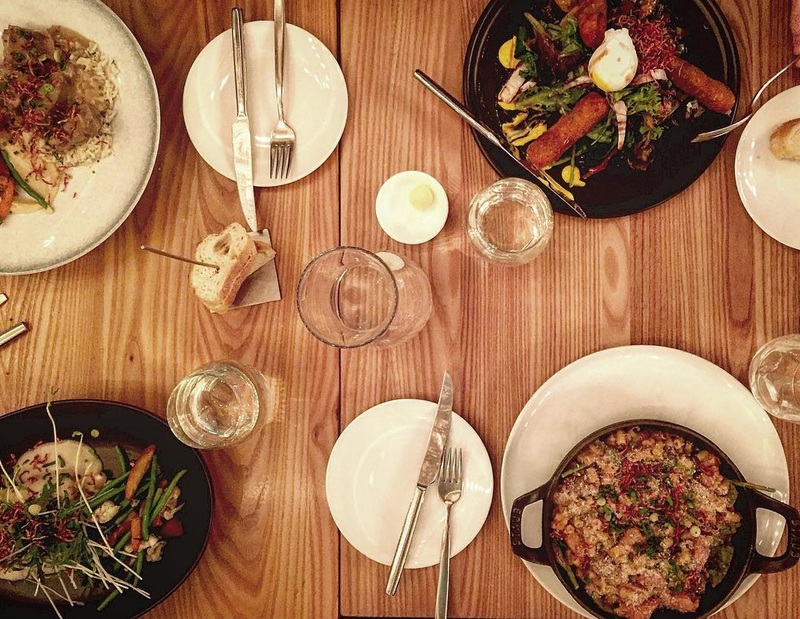 From brunch to dinner, La Buche delivers it all with traditional Quebecois style. The locale is made up of brick, wood and stone, giving it a warm, cabin feel. The food reflects the decor: try their deconstructed shepherd’s pie, tourtière, poutine with a daily topping, and much more. There’s even a small kids menu and live music some nights, making this a family-friendly excursion. For refined and creative dishes and a wide range of wines, get dressed-up and head to Laurie Raphaël. Located at the Quebec City Saint-Germain hotel, this fine restaurant offers Creative French-Québécois dishes in a glamorous, sleek setting. This white tablecloth experience delivers dishes that are both delicious and visually stunning. 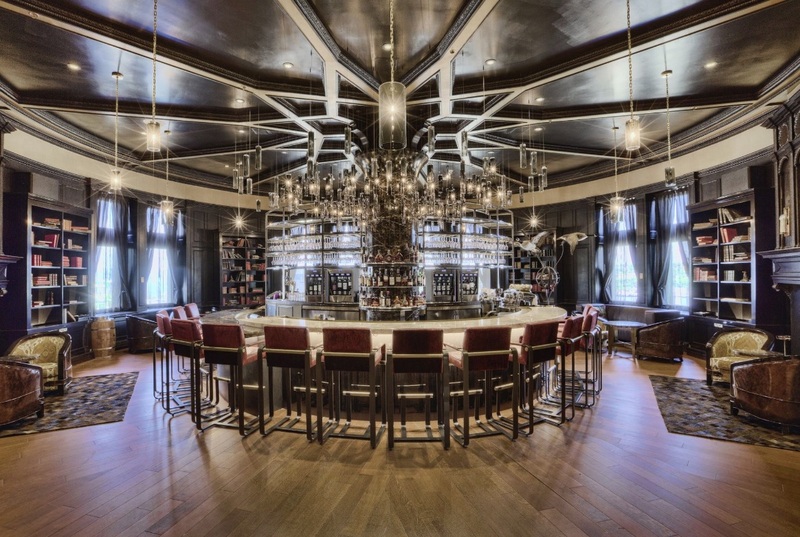 Also located in the Chateau Frontenac, kick-off your evening at the 1608 wine bar. With an extensive list of privately-imported wine and a large variety of top local Quebec cheeses, this is the perfect spot to warm-up your tastebuds before the main attraction. The stunning circular room surrounds patrons with warm, chocolate wood paneling, accented by pendant lights hanging at the round bar. 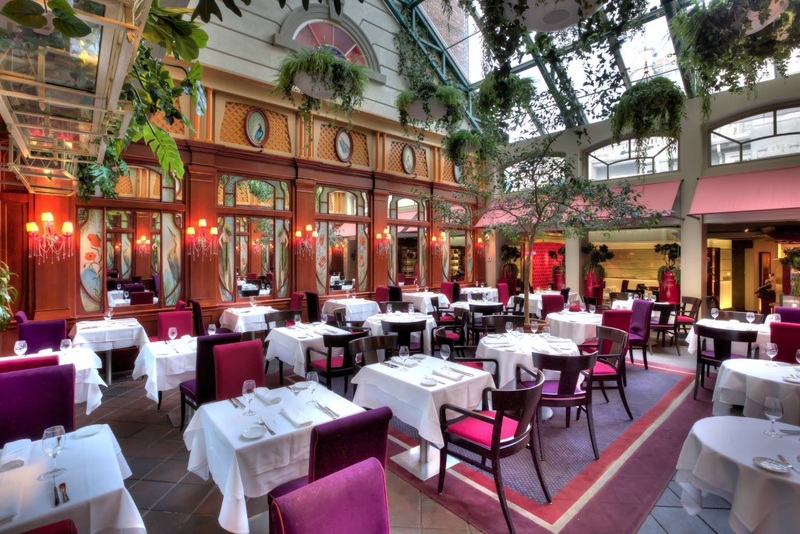 In a setting reminiscent of Paris’ Belle Epoque, Le Saint-Amour is one of the leading fine-dining restaurants in Canada. To begin, their dishes are beautifully assembled for a veritable visual feast. The gourmet French fares are the perfect combination of fresh local ingredients and extensive culinary experience from chef Jean-Luc Boulay. Top off your decadent meal with an item from their impressive dessert menu: chocolate mousse or cream puff, Grand Marnier and coconut ice Parfait, and many more treats. In the same vein as the previous restaurant, Le Champlain, located in the Chateau Frontenac, is a fine dining experience that can delight even the most decipherable palates. This elegant landmark is an easy choice if you’re looking for a little luxury: head there for Sunday high tea in their dining room that overlooks the Saint Lawrence river. When sampling their French cuisine at dinner time, be sure to try their grilled octopus and finish off your meal with their ’all chocolate dessert’ plate! Drawing inspiration from Quebec’s native history, Restaurant Légende’s dishes are divided into Water, Earth and Land categories. Local fish, vegetables and gamey meats make up the upscale menu with an option for a tasting menu as well. The decor is cozy and elegant, with wood panels lining the walls. Taste a bit of history at Restaurant Légende. A step outside Old Quebec, is a whole other culinary world waiting to be discovered. 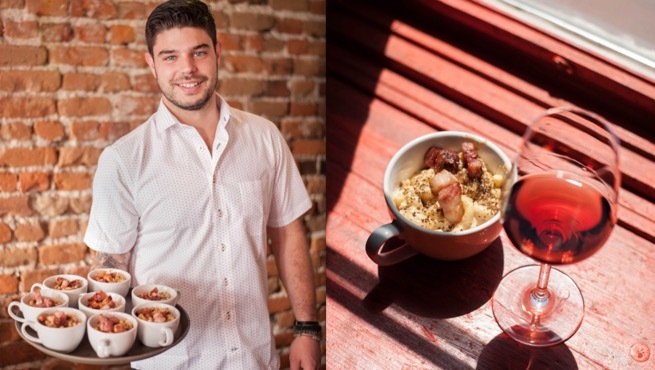 On the Saint-Roch Evening Tour you’ll get to try 5 food stops that are loved by locals, but might not be in the guidebooks, giving you a real, authentic off the beaten path experience of the up-and-coming district. You’ll also get drink pairings at several of the stops to accompany your food, elevating your dining experience. Meanwhile, your guide will tell captivating stories about Quebec City, Saint-Roch, and the restaurants you visit, infused with their insider knowledge of the place. To check it out, click here. Restaurant Initiale serves timeless elegance, with award-winning sensibility and a commitment to flavour and quality. The authentic dishes highlight local delicacies prepared by chefs with the utmost respect for the ingredients, bringing out depths of flavour you never knew were possible. Meanwhile, the understated decor lets the food really shine. The outcome is a sublime dining experience carried out with an effortless simplicity that can only be the product of years of expertise. Ever wondered what goes on in a restaurant’s kitchen? At Le Continental, the chefs cook your meal at your table, right before your eyes. The menu focuses on traditional French meats like tartar, flambés, and grilled beef, veal and lamb. The decor is reminiscent of a Parisian bistro, with white tablecloths and wine glasses adorning the tables. End your dining experience with their famous crepe suzette. All in all, Le Continental is the white tablecloth experience with a little culinary entertainment sprinkled in for good measure. Set in an historic house, Le Chic Shack serves-up delicious gourmet burgers with locally-sourced ingredients. With trees trunks at the bass of each table, the Chic Shack has a cozy cabin feel while also being quite chic (hence the name). Try their homemade sodas and whipped-cream-topped milkshakes, and indulge with one of their hearty poutines. With its chic lumberjack cabin atmosphere, it’s the perfect place to cozy up with a great meal on a cold day. Seasonal, local ingredients take on a world of flavours at Chez Rioux & Pettigrew. The colourful, creative dishes layer textures and tastes, much like the space layers modern luxuries with vintage artifacts that recall its roots as Rioux & Pettigrew General Store, founded all the way back on 1860. Order mouthwatering delights for brunch, lunch and dinner or sit at the table d’hôte and let the chef’s surprise creations awaken your sense of exploration. With a beautiful view of the river, Le Sam is the French bistro on the main floor of the historic Chateau Frontenac. Their extensive list of cocktails has something for everyone. If none suit your fancy, they’ll make a cocktail based on your preferences. The dining room is chic and warm, following a dark blue, gold and brown colour palette. Enjoy their selection of tartar, meats and other dishes with a few options for kids’ meals on the menu as well. This French restaurant, specializing in roasted chicken, seafood, and other meats, is a warm and chic bistro in the heart of Old Quebec. Their chicken comes from the local Charlevoix farm and Tournebroche also has its own garden where they grow their produce. They also make their very own mayonnaise, ketchup, bread and ice cream. For a sweet outro, try their homemade creme brûlée that’s reinvented daily with a new flavour, so you’ll never have the same one twice! If you’re craving a little taste of Italy, Il Matto can blow you away! Built to be comforting and straightforwardly delicious, these recipes recall your Italian grandmother’s cooking, or take the place of the one you never had. The pizza, spaghetti and amazing house risotto all live up to the promises of what a good Italian place should be, without overcomplicating it. Come sample the savory dishes of this French bistro/pub fusion restaurant. They serve up a selection of seasonal meat and fish, adjusted based on the availability of the produce. They also have a list of club-sandwiches that are tastier than those at any pub you’ve visited before. The three chefs, Julie, Steph, and Phil (drink creations), pride themselves on delivering quality dishes based on simplicity and lots of flavour. The decor is also simple, with stone walls with orange accents on the door arches and windows. Be-Club is also a great lunch spot, with their lunch menu including an appetizer, main course, dessert and coffee for the reasonable price of 16.50$.